This new experiment is with Iron sulfate (Chemical formulae FeSO4.7H2O). This Work is based on the general instruction document from the Inner Garden group. To me this is a new area that I need to explore. The first steps are the processes of the purifications of the green crystals formed after evaporation. I started this work on January 12th 2015. On this gallery you can see the development of the purification process of this substance. Slowly a skin begins to form. An interesting note. The emerald green liquid has a very nice smell. Fresh and sweet very subtle. Inspired by a post on Facebook from a friend concerning alchemical products and selling them I would like to say something about it. This post from Steve Kalec is what inspired me. He gave me permission to quote him here. 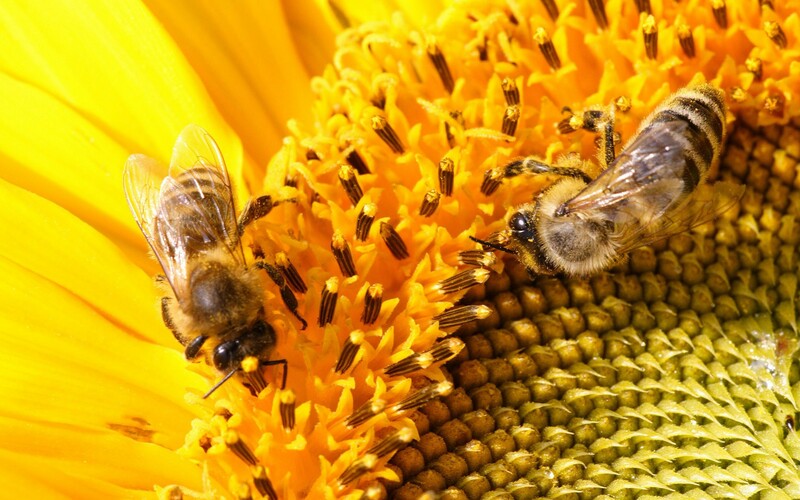 On the internet there are many people who do sell them and claim all kind of things about their tinctures, like many other services available on line. I see more and more people who want to make a living by it and sell them as commercial products. Why am I against this alchemy for money hype? 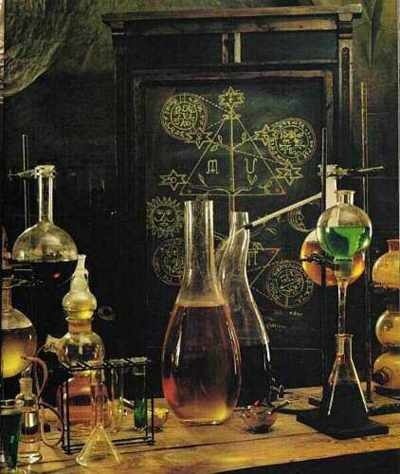 First of all most of the time those tinctures are not really alchemical and more of chemical nature. If one knows the recipe and when one has the equipment on can make it technically speaking. But since every real alchemical tincture or product is an process in itself that takes time. It also requires a lot of skill and inner and outer interaction from the maker. These proceses can be complicated (depending on the person) and depending on the spirit of the matter more or less successful. Second those tinctures have different effects on different systems since we are all different. Not everyone responds the same to this tinctures. 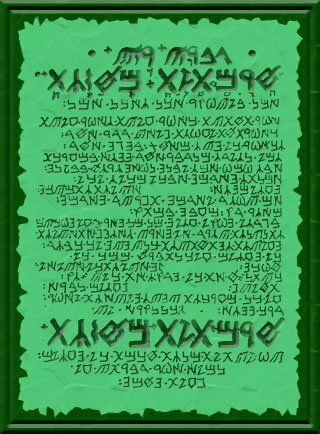 When they are really alchemical they go even much, much deeper and can cause crisis to those who are not prepared. 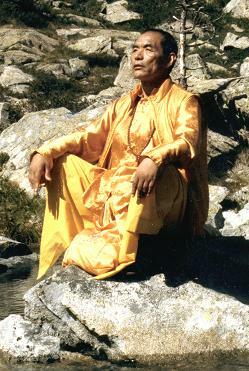 This mean inner preparation and preparation of the subtle channels. When there are blockages issues come up some small and some even very bad. One should know this because sometimes its necessary in order to heal , this is a common phenomena with the use of alchemical products. And thirdly one should be very cautious when those tinctures are sold and harm others because they are allergic to a certain substance. This can bring the alchemist in question into big trouble in mundane life but also Karmically. 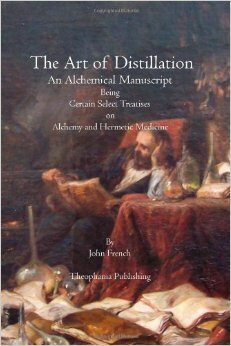 The inner development and purification of the alchemist takes years of training, practice and study. In my case I test my products myself and they do induce inner and outer effects as part of my personal process. Then if needed I give them to family members whom I sense they could need it. I tune in into the person in order to check its wise to give it to them. Then I have friends in which I do the same. When I feel they can benefit from it I give it to them. In the last case there are some people who contacted me by Facebook and want to test a tincture from me. To them I gave it as wel, when I sense its ok to do so. But I never sell them. There were individuals who offered money for my Enses but I refused it and will always refuse that. On top if this tinctures are an integral part of myself and extension of myself and feel like ‘my children’. They are magical creations and tools aid and helped by the powers that be, Nature itself. By all saying this its very important to be able to tune into someone else. In other words to sense what is needed. The same should be done by making alchemical tinctures. 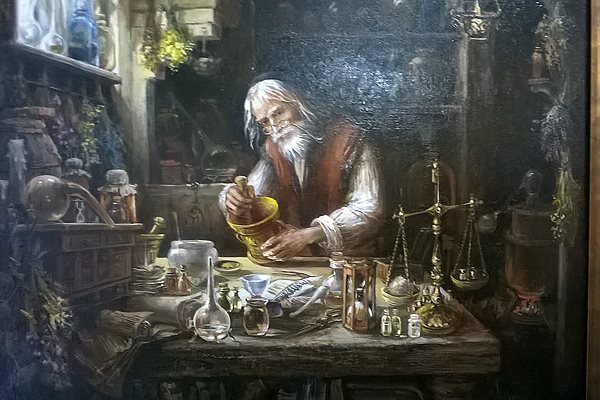 A real Alchemist tune in into his work and communicate with the spirit involved in order to make it successful and to gain knowledge what is required. The most important part of making an Alchemical products cannot be found in books or texts but are from the ‘inner planes’. Its all about raising vibrations from the maker and the products he made. Money and the spiritual path is a very bad mix in my opinion. It cause an impure attitude that block real progress on the Path of Return. The path of Alchemy is the Royal Path of initiation and be in tune of Nature, guided by our Higher Self. It has nothing to do with making a living from it and starting a spagyric business to only blocks the proces. Its not ‘we’ that makes it happen, its a precious gift of God or Nature that allows us to do so. We are just a chancel to receive this precious gift to altruistically help others. We only may humbly hope we can maintain this and never lose the pure motivation. I wish all of you a happy and inspiring 2015. Its my wish that we all can contribute something, no matter how small, to the world to make it a better place beyond religion, ideology, race or background education etc at the end of the day we are all the same. We all looking for happiness and would like to grow at the end of the day. The only problem is that we most of the time don’t know how confused we are, how we are captured into thought patterns and are the products of our education, upbringing etc. Only our lower mind, our ego makes a distinction between me and other, we against the other. I think we all should keep this quote in our hearts…….and light up our inner Light to aid others.